Successfully Added 7 Inch TFT LCD Armrest Monitor With Built In DVD Player to your Shopping Cart. 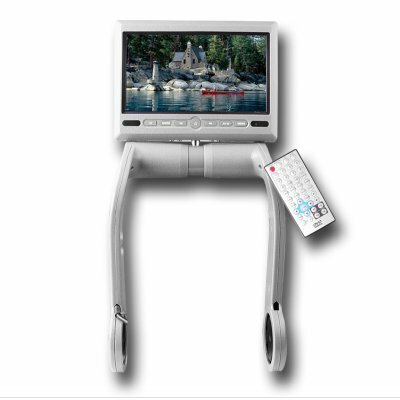 Chinavasion is proud to bring you this new Made in China adjustable Armrest TFT LCD Screen with a built in DVD player and speakers. Back seat passengers will love this convenient new place to put your car entertainment center, and with the built in DVD player and speakers they can enjoy movies during the long car trips. It also features USB and SD card ports and a FM audio output. The 7 Inch TFT LCD monitor features an incredibly high resolution of Resolution: 1440x234, and the Armrest DVD Player has an adjustable distance between 15.5cm to 21cm letting it fit most armrests all over the world..
Is this suitable for all cars? The armrest monitor requires a clearance distance between 15.5 and 21.0cm to install. Please check to see if you have the necessary space. on 2009-07-12 02:12:41 Quality unit!!! Came in 5 days,all there,perfect shape,works great,no dead pixels,real good unit.